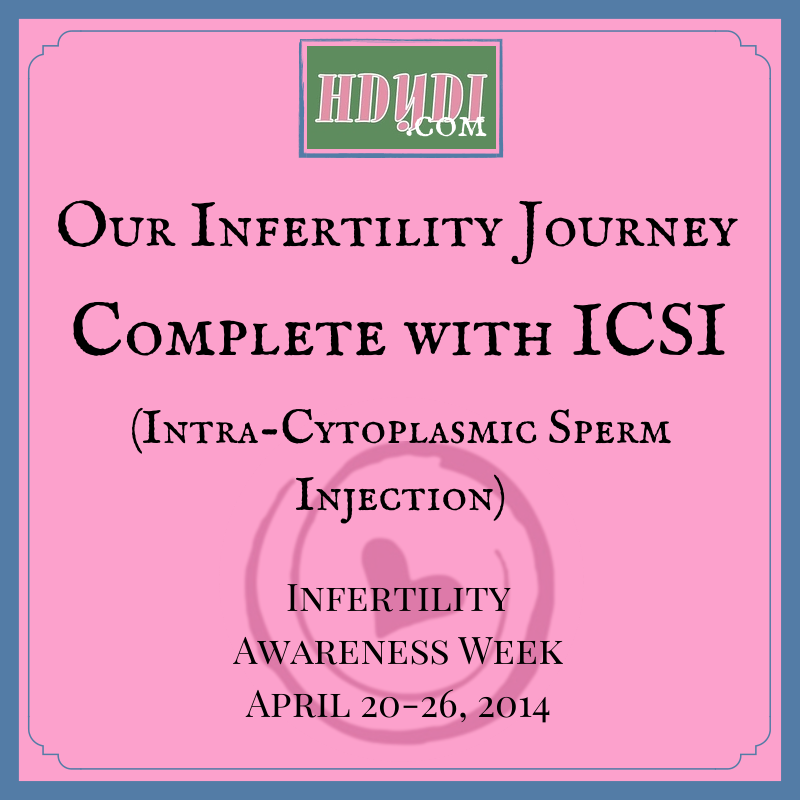 My Story: Our Infertility Journey, Complete with ICSI | How Do You Do It? We were a bit later to the marriage party, both 33 when we got married. I was itching to stop birth control as soon as we tied the knot. My husband wanted to wait just a little bit. We kind of accelerated the whole courtship process. We were engaged after just 10 months after our first date, closed on our house 3 months later and got married just 3 months after that. He thought we might want to slow down a bit. I think I held out for about 4 months after we said “I do” to start trying. I thought it would just happen instantly. You know, like they tell us in health class, but it didn’t. I remember crying every damn time I got my period. I quickly became frustrated. I made an appointment with an ob/gyn before the first year of trying was even up. Then the testing started… We quickly figured out what the problem was, but that didn’t mean we needed to keep having more tests and see more specialist, looking for something to fix it, looking for an answer. We knew we were dealing with male factor. My husband was producing few healthy sperm. I was devastated. I was quickly imagining all the pain and heartache that lay before us, never mind the potential to spend thousands and thousands of dollars. We had no idea what we were getting into. One of the biggest supports to me was an online support group at www.dailystrength.org and the infertility board. I watched women’s stories unfold and learned about the tests and procedures we were in for. I asked questions and shared our story. By the time we got to the fertility clinic I knew what to expect, what questions to ask and what the risks were. We chose a hospital in a state where infertility coverage is mandated so they were doing it a lot. In fact they had the highest success rates in the state that year. Hurdle #2 was finances. Unfortunately, neither of our employers’ health care policies covered the treatment we would need. There was the some coverage for testing and diagnosis. Every time some minor claim went through it was a victory. So we saved and we saved and we saved. I would feel guilty buying two boxes of tampons and I jumped down my husband’s throat when he joined a golf league that summer. Our clinic takes back medication that women don’t need, like if they have to stop mid cycle. The nurses started saving what we would need because they knew we could use it. We dived in big time – IVF with ICSI – or in vitro fertilization with intra-cytoplasmic sperm injection. I wore patches, I used vaginal suppositories, and my husband shot me up with drugs. We held our breath as the doctors harvested 16 eggs and were able to fertilize a dozen. After day 3 we implanted 2 eggs and froze 3. After day 5 we froze 2 more. At that point, it is all about the numbers. It worked! We got pregnant! And we had some in storage! In June of 2009 we welcomed our amazing little boy into the world. While I was home maternity leave I knew I wanted another one. I couldn’t just do this once. Besides, boy clothes were dumb. I wanted pink frilly dresses. 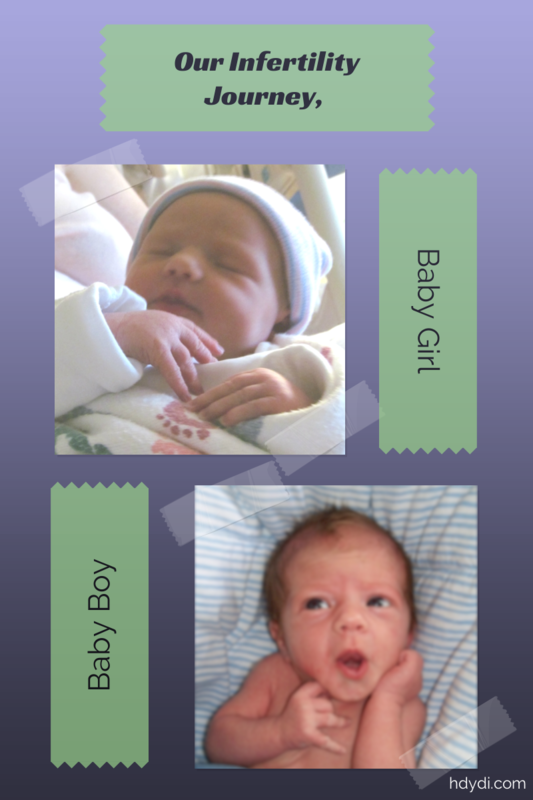 So a couple of years later we looked into FET or frozen embryo transfer. A few more tests, some faults starts and some more money, we did it again! Our baby girl will turn two this summer! It was by far the most difficult journey I have ever been on. The biggest challenge our marriage has ever faced. And it has the most amazing reward. Those snuggles and smiles and kisses and sweet smells make it all worth it. Sometimes we just have to remind ourselves when both kids are screaming at dinner and we are exhausted at the end of the day! So, so true. But, I kind of feel lucky in a way… that I have that perspective to remind me on bad days. 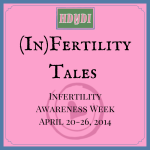 Pingback: Infertility Terminology - How Do You Do It?